No hands-on product experience required. Test broad knowledge concepts vs skills application. MTA helps schools teach and validate fundamental technology knowledge, providing students with a foundation for their careers and the confidence to succeed with more advanced studies. 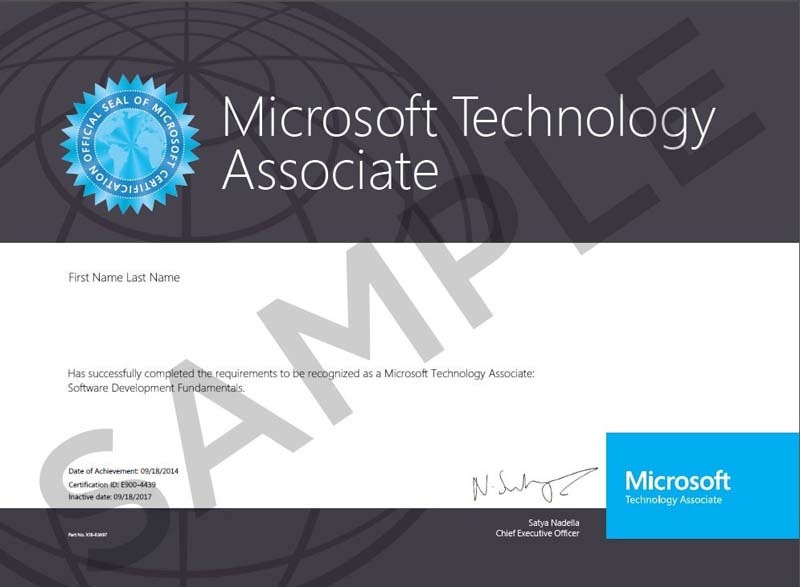 Designed to empower educators and motivate students, MTA can help your institution stan out with an innovative technology curriculum while offering students an opportunity to earn a Microsoft certification right in the classroom. MTA is a stepping-stone to Microsoft. Career Exploration � MTA allows beginner students to explore a variety of career options in technology with a moderate investment of time and effort. Confidence � Confidence-inspiring credential lead to success with future studies in technology and professional certifications. Community � Strengthen your school and community through technology; Provide your non-college bound students for an entry-level job in technology.